Are you struggling to keep up with demand on your bowling lanes and associated facilities? Do you have one system for booking lanes another one for booking your bar and games area, and a third system for managing your laser-tag bookings? Isn't it about time to centralize all your bookings with one easy-to-use web based scheduling solution? With MIDAS, not only can you and your staff manage all your facilities from one place, but you can also allow customers to book and pay for bowling lanes and your facilities online! 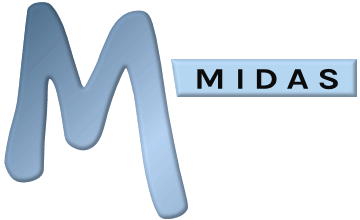 Additionally, an optional API is available allowing you to integrate MIDAS with your lane control systems, etc. Isn't it time you switched?! Centrally co-ordinate the booking of your bowling lanes and other activities within your facilities. Book multiple lanes and recurring bookings with just a few clicks. A cloud-based booking system can be accessed anytime, anywhere. Staff can access critical information with a simple Internet connection. Customers can check lane availability themselves without having to phone up and ask. Customers can make and pay for their bookings online. Manage associated equipment like inflatable bumpers, and assign them to bowling lanes. If you own a number of bowling centers, you can set up separate databases for each, yet manage them all from one interface. Streamline the time spent on scheduling and administrative tasks, and reduce the amount of confusion and paperwork! The Web Based Scheduling solution for the effective management of your bowling facilities and resources! With MIDAS you have complete control over your activity bookings for your bowling lanes and any other activities you have to offer!. Have one system for managing all your bookings site-wide, take booking requests through your website, and put an end to double bookings once and for all!